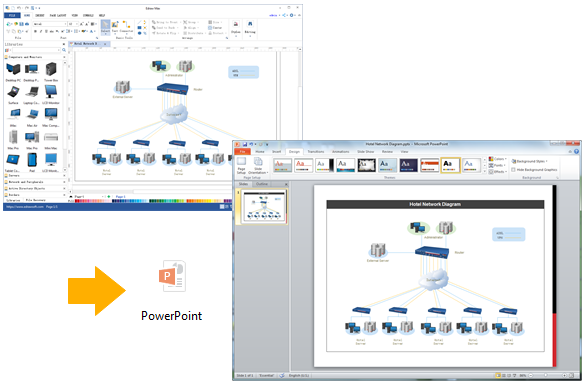 Create a presentation-quality network diagram in PPT at ease. Edraw allows users to make network diagram for PPTX on both Mac OS X and Windows system. 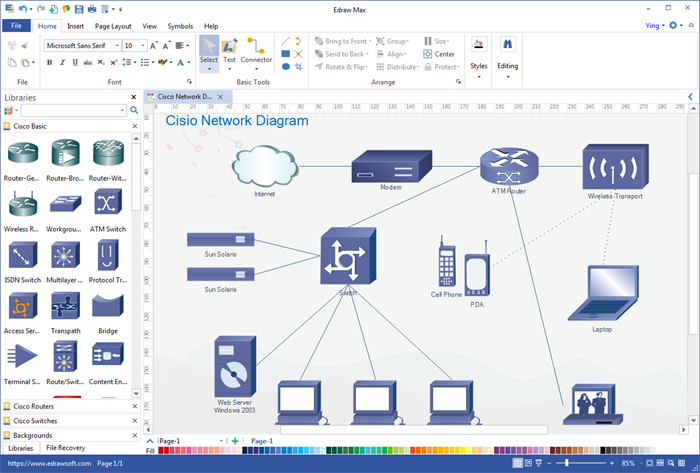 This tutorial will teach you how to make a network diagram and export to PPT file. It would be hard to create a network diagram directly in PowerPoint. It's better to use a program that is easily compatible with PPT. Edraw is a professional network diagram creator for Mac coming with extensive network diagram symbols. It's fully integrated with Microsoft Office, so that you can transform the file to PPT format with a single click. 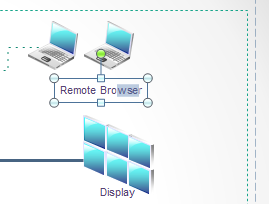 Like the picture shows below, you can gain a perfect network diagram in PPT. 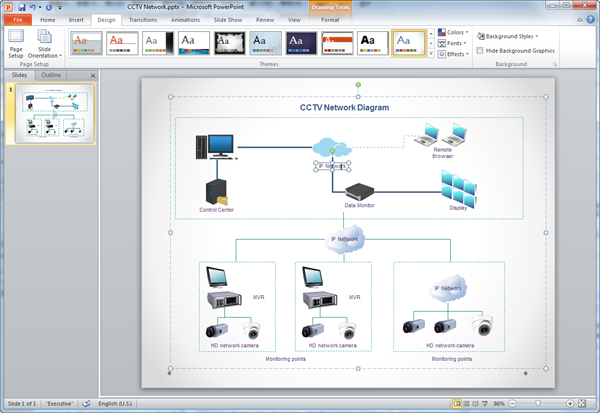 Without professional drawing skills required, anyone can produce professional network diagram in PPT. The program supports not only Mac, but also PC and Linux. Edraw network diagram maker is designed to produce accurate, visual and professional network diagrams from built-in symbols and templates. It could handle a wide variety of network diagram designs, from 3D network diagram, Cisco network diagram, activity network diagram, network topology, to LAN networks, and home networks. 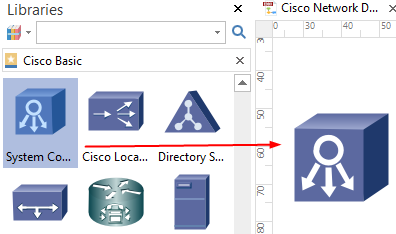 From the starting page, find the network diagram drawing template and double click to start. You will see a collection of network diagram symbols on the left of the canvas. Drag and drop the symbols you need. Connect shapes with Connector button on Home tab, and annotate shapes by double clicking on the shapes or using Text tool. Open the Background library and add a background for your diagram. Export the diagram to a needed format through Export & Send button in File menu. With just one more click, your network diagram in Edraw can be transformed to a PPT file. Edraw is 100 percent compatible with MS PowerPoint. That means the EDDX files can be converted to PowerPoint files seamlessly. This feature makes Edraw a great supplement to PPT, when you need to show complicated diagrams like network diagram in a PowerPoint presentation. Go to File tab, click Export and Send and choose PowerPoint button to save your file as PPTX format. The exported network diagram will remain the vector feature in the MS PowerPoint. You can still edit text, recolor shape, and apply quick style in MS PowerPoint.